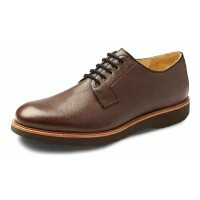 Cap toe five eyelet oxford. Welt construction. Leather linings and removable leather cushioned insole. Padded collar. Vibram rubber sole. Made in Portugal.